International Otaku Expo Association(IOEA) is an global association of expos and events where enthusiasts of otaku culture gather together. The Goal of IOEA is encourage new developments with in the wider otaku culture by linking together otaku expos. Regarding the IOEA and How to Join Us. 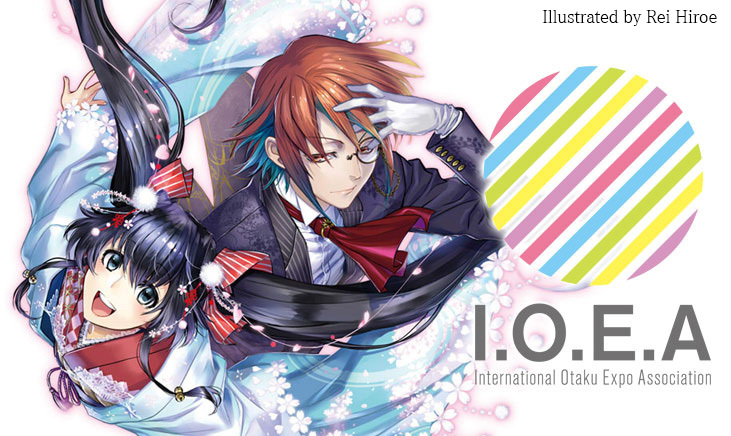 We are looking forward to join the IOEA of every OTAKU expo/events ,cooporation, creator,fans in the world. Please read the PDF linked below regarding how to join the IOEA.